our winter hours are 10-5 but as of May 1st they will be our summer hours of 10-6. NEW products.....new handmade soap dishes, pineapple-kiwi cake soap, all our "maintenance series" soaps are back and by popular demand the foot scrub soaps for summer. Fresh and scrubby with volcanic pumice peppermint. Getting ready for the new website! ok, we all know that there is a certain amount of procrastinating behaviour in everyone and for the most part I am pretty good at getting things done...otherwise I will forget! bill paying is easy because I have maintained STRICT habit of paying as soon as the paper or notice crosses my desk. This also has the benefit of never having bills to pay.....yay! Its not because I organized but rather I feel unorganized so I make my own concessions. It works, I guess. the alternative of this is and has been....our website. Yes I have used the fair but increasingly thin excuse of being just so busy with the store, the farmers markets and Christmas markets that I have been...well......busy! This is a lovely, wonderful problem to have in so far as the result is not so much a negative but a lack of the positive. We have customers clamouring for a website so they can order more product once they are home and each time we say "its coming"...is both truthful and misleading. The site is actually built by a great guy named Rob who works for Rocky Coast Creative and design here in Vancouver (New Westminster he's in actually) and the lag is ME....I'M the one who is to put in the content of pictures and professional knowledge hints, twists and information on our fantastic products. So as of today...the start of March we will be seeing just how well that goes in the upcoming weeks and hopefully there will be a great link to each site asap. 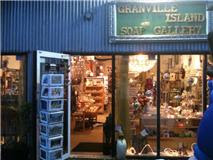 www.granvilleislandsoapgallery.com is the site address to date. 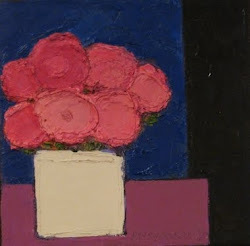 Ok enough personal admonishment.......what's new at the Granville Island Soap Gallery??? Well after a stellar year of sales and marketing it has become clear that our focus is changing a wee bit by bringing in a few more lines of wonderful locally made products, trying to create a bigger space with the potential of expanding the store to double its size and creating a "Soap and Cosmetic Co-op" of sorts for both our dedicated clientele and the vast number of visitors to Granville Island. Being the busiest soap store in the lower mainland has its pros and cons..... PRO...its fantastic to be this busy....CON...its a lot of work to be this busy. " oh boo-hoo huh!" Without giving away any trade secrets it is increasingly clear that people are wanting locally made, high quality, Canadian designed and sourced where possible products and this is where we have always focussed ourselves in the market. What I have noticed though is that there are several truly great and innovative small companies who have started up in the past five years who are creating products you just cannot GET at the local drugstore. For a variety of reasons the quality of handmade products are just far and away superior to anything one can get at the department store (without paying the exorbitant prices) or at the drugstores (because of inferior quality). Now this is not to say that you cant get good and some great products at the drugstore...you can! Its that....and this is just a secret......so ssshhhhh.... locally made products by soap makers are using the utmost in quality products, using super fine ingredients like pure carrier oils and essential oils that big manufacturers are NOT doing because the bottom line is higher profit margins while small hand crafters are focussed on higher quality.....and often much to the detriment of THEIR profit margins. Most hand crafters never even think to add in their wages for time in the product so get 'em while you can and before people catch on!! We make our bulk square soaps in 500lb batches so when I sell one at a farmers market for 4 bucks...yeah Ill make something..... "Suzy Soaper" who does the same in 5-25lb batches?? she's not making a thing and its probably a fantastic, rich, creamy product! oh well...good for the buyer. So to that end we are bringing in several lines of soaps and other products like deodorants and body butters, shaving products and others to help out those who cannot create a brick and mortar store but want a knowledgeable and caring sales approach attached to their products. Stay tuned and come by the store to see what's new as it changes almost daily. So here we are nestled into the space between Tunnel mountain and Cascade mountain here in Banff Alberta. It was a spectacular drive in the new car and the roads!!! Kudos to Canadian roadmakers...were the most outstanding example of drive ability on the planet. Clear, clean, wide and free of debris or potholes. Simply gorgeous. Meeting several fantastic people here at the conference has been very rewarding and the response to my lecture has been very positive. I understood that the message was going to be either well received by those needing the facts of "doing business in the Soaping industry" or not well received by the hobbyist who perhaps needn't hear the tsunami of work involved in the future of the process should one decide to follow a more business oriented path. Regardless, people were amused and compliments were many. I don't think anyone actually LIKES speaking in front of a group of any size. as we head away from out summer activities of a very successful farmers market season we are stepping into the Christmas season already......I know. ..already! 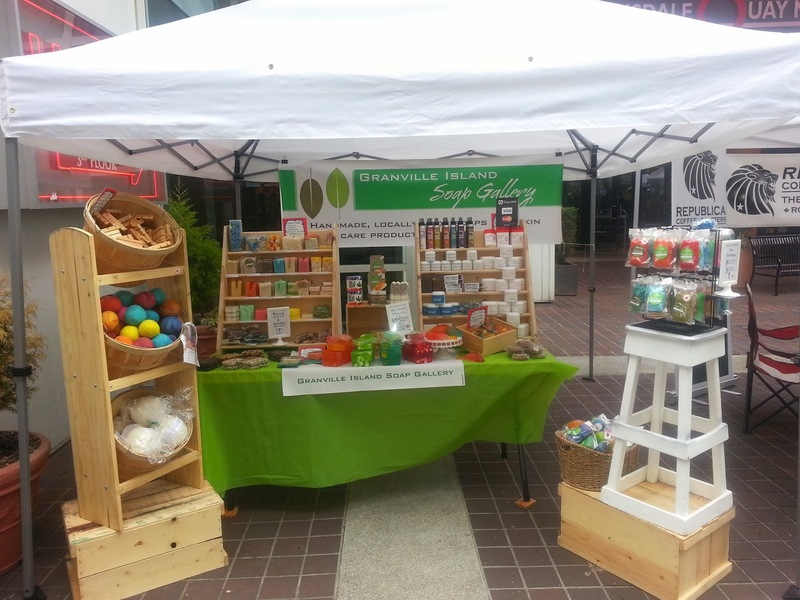 the Fort Langley Cranberry Festival was a major success for us as per usual despite a wee bit of rain. Tens of thousands of people show up from what they tell me. ...I don't actually know as we're at the table selling soap! then MAKE IT show at the PNE forum building December...first week of december...check out their site for exact dates....3,4,5,6 of December I'm pretty sure. Then......the store on Granville Island.... the Soap Gallery is bringing out all the goodies plus a few new ones for the season!! ohhh so much to make!! 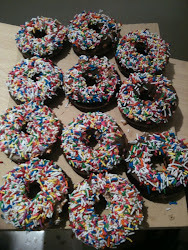 ok soooo this week we are focussing on getting ready for the farmers markets and "doin the do" as they say. im super excited to get back to do the markets cause it gets us out of the store into the fray with fun marketers and all our regulars who seek us out religiously. our new "CASTILLE" soap....100% olive oil in rustic blocks......sooo divine! of course all the regular best sellers we will bring too. the links to all of these are below! last season we made our new shaving soaps (with added slip and shear ....sooo great!) our massage bars which continue to be a favourite moisturizer on super dry areas for many of our clients and our "About Face" line of soaps.....top sellers.....and our shampoos....can't keep them in stock! It sounds like im bragging but alas...noooo.....I'm just TIRED haha!!! Now we are creating a whole new line of cold process soaps with olive/palm/coconut/shea butter/jojoba/silk protein.............so smooth and gentle. Our salt bars are coming back for this year.......a total treat for the skin to shed all the winter flakes. ....all super cool and delish!! ok back to work I guess. 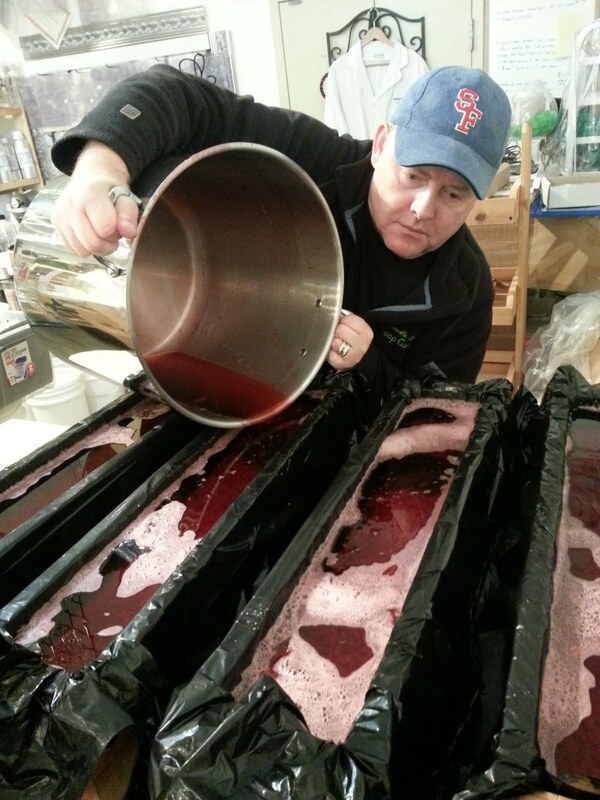 ok ok ok.....apparently I can make pretty good soap but am bad at keeping up with my facebook and blog inputs. Mainly because I forget my passwords and then cannot get into the pages........case in point....this blog! So my tip for the day here at the Granville Island Soap Gallery is....make your password long and dirty......! yeh its a pain to type in but you will never forget it. hopefully more blog entries to come. we have lots of new stuff along with our famous and regular stock. 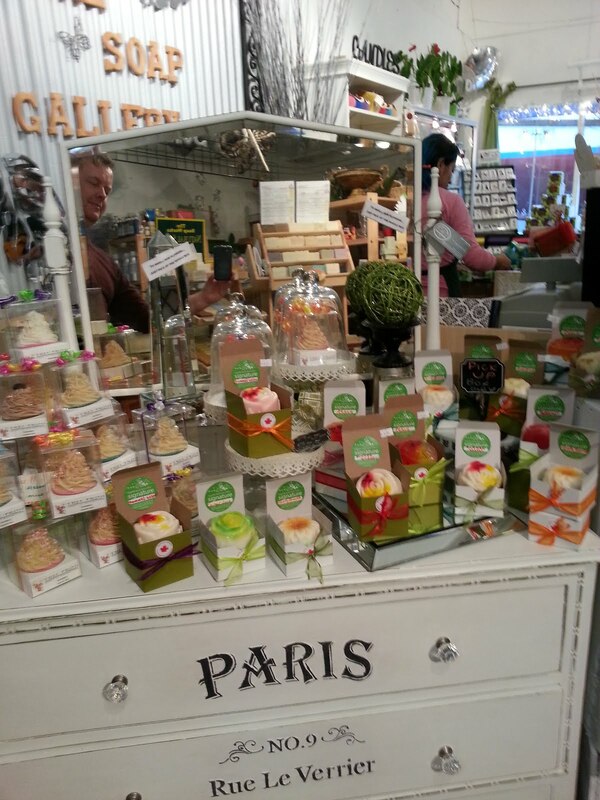 Handmade natural soaps made locally and fresh right in our store which is located on Granville Island. open 10-6 everyday except holidays. Wake me up in the morning with this! Natural organic melon in a glycerine base...soo gentle! Orange and Vanilla..just like you remember! Right from Quebec Maple trees...so inviting! Baltic Amber soap with roses. The Granville Island Soap Gallery #104-1535 Johnston Street Vancouver Bc V6H 3R9 604-669-3649. Picture Window theme. Powered by Blogger.